Unfortunately things do go wrong. We may have a case of medical negligence in the Maternity services at a Galway hospital. It became the latest to be probed following the deaths of two babies and oxygen deprivation to five others. 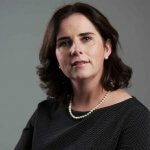 Figures released by the HSE on the 9th of October 2012 showed 85,918 adverse clinical medical incidents in 2011. This means that there were 235 errors every 24 hours, which is the equivalent to 1 error every six minutes. Why do people contact a Solicitor? The medical profession is held in high esteem. Huge trust is placed in a health professional when you submit yourself for an operation or even when you hold out your arm to receive an injection. When things go wrong the reaction of an injured patient or their family is an emotional one: there is a strong sense of the breach of this trust. I find that injured patients hire Solicitors, not because of the desire to obtain compensation, but instead they are driven by a lack of knowledge about what happened to them, the inability to get answers and the desire to get an apology. In many cases we achieve compensation for Clients with an apology. There is a perception amongst injured patients and their families that when something goes wrong, the medical profession closes ranks and they cannot get straight answers to the straightforward questions. Are these types of cases very difficult? Inevitably, the Defendants will argue that the illness or disease that the person had when they submitted themselves for treatment was the determining factor in the final outcome or, in the context for instance of a surgical treatment, that the injury complained of is within the realm of acceptable error :“ a recognised complication”. Another difficulty is the lack of knowledge: when somebody gets injured in a factory, or is in an accident on the road, what led to the event is rarely in dispute. However, in a medical context, the background of the facts can be so vast and complex, that very often it is difficult to understand what happened. Another problem is that medical negligence cases are still David v Goliath type challenges. They involve you (an individual) taking on the State which has deeper pockets and no emotional stake in the outcome. How would someone know if there has been an act of Medical Negligence? It is very difficult to establish at an early stage. It is not common for hospitals to inform patients when an error has occurred so typically a patient or relative becomes suspicious of an error, an uninformed opinion is formed we are then instructed to investigate. What initial steps do you take to establish a possible case or “cause of action”? 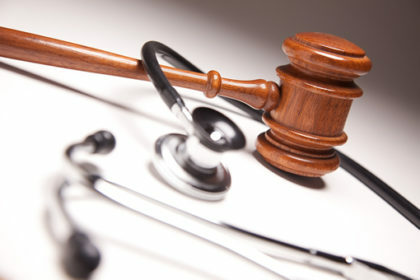 Medical negligence claims, in a similar way to personal injury claims, are made up of a series of hurdles. If you do not clear the first hurdle you cannot move on to the next. Medical experts specialising in the particular area of medicine involved will then be asked to consider whether or not the treatment received was negligent or substandard and if so the extent of the damage it caused. If we consider that we have enough evidence to prove a case of medical negligence, then we advise starting court proceedings immediately. 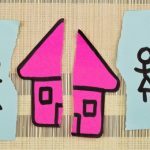 negligence – how do the Courts decide what is and what is not negligence? below the accepted standard of care and which results in injury or death to a patient. Interestingly, before the 1950s there was no reported case of medical negligence in Ireland. In fact, until 1989 the number of cases was minimal. being delivered with severe brain damage, and the other being delivered dead. What types of cases do you come across? During the last 30 years the office has probably dealt with most types of medical negligence. failure to diagnose, cerebral palsy and neonatal claims, amongst others. DePuy hip implant recall and narcolepsy arsing out of the swine flu vaccine. Is there a time period for bringing these cases? party is aware of the injury. person realises they have an injury/action.